In this video tutorial we will show you how to restore deleted file. In order to restore deleted file you have to select a file, a document or a folder and right-click on. 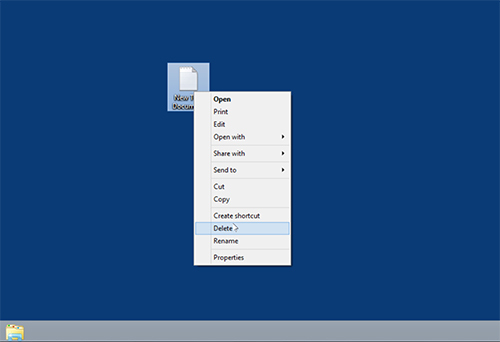 In the displayed menu, click on “Delete”. 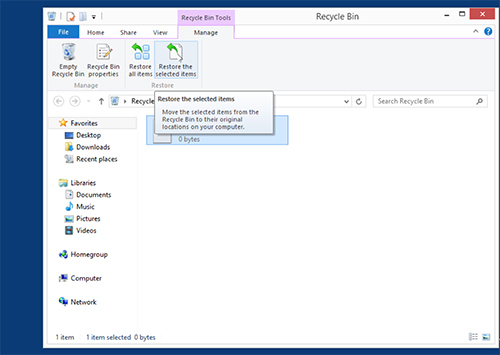 Open the “Recycle Bin” with a double-click and select a deleted file, a document or a folder and press “Restore the selected items” icon in the “File” menu. Deleted file, document or folder has been sucessfully restored.